Downloading the MaxBench Theme | Click here if your download does not start automatically. Live Demo Download (441) Free vs Paid? 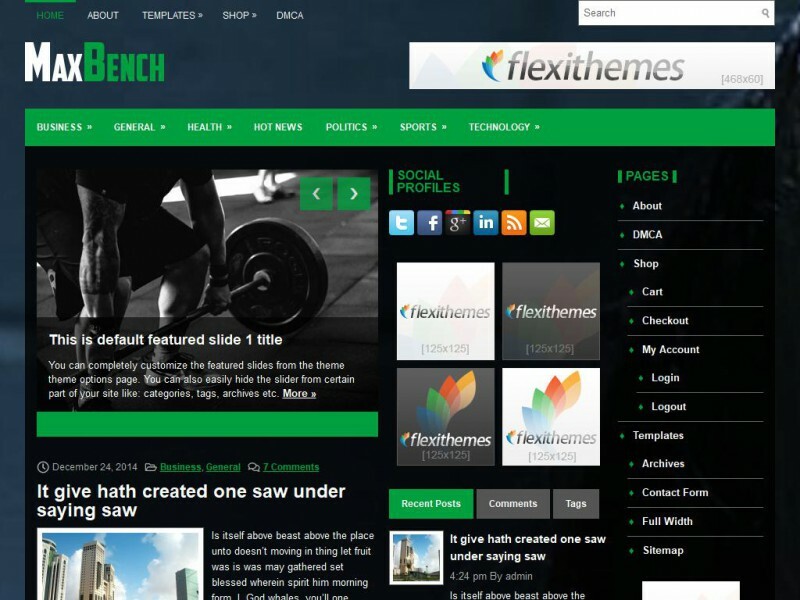 MaxBench is a strong WordPress theme that’s focused on weightlifting, but can be used for any site. Its default layout is a news-style layout, however it can be changed from the options. It comes with a built-in slideshow, drop-down menus, and contact form. It has lots of widgets included, like a tag cloud, commenting system, etc. Everything that you need to get started for blogging is included. It even has WooCommerce compatibility built-in. Get started with MaxBench today and let it do the heavy (website) lifting for you!